Prof. Péter Csermely talked about the potential of networks and the advantages of networking. He started with the characteristics of complex networks and went on speaking about the benefits of bridging distant groups. 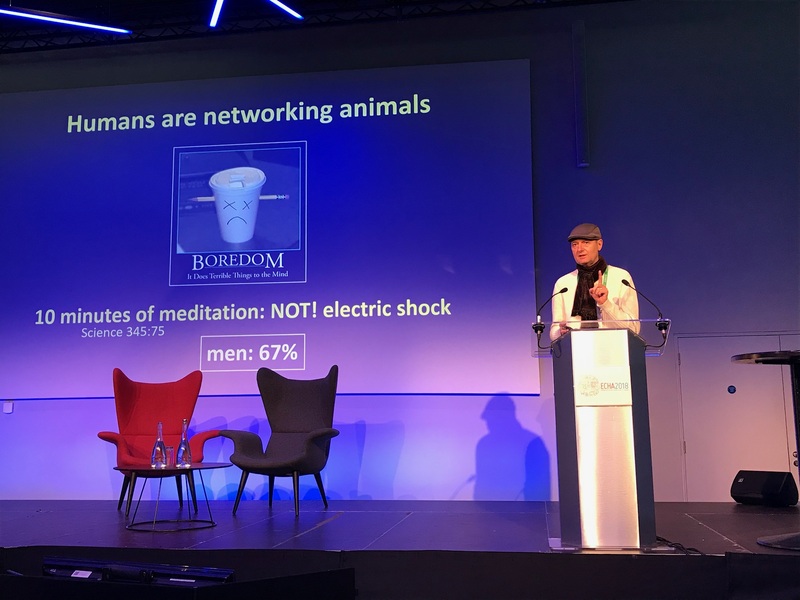 In conclusion, he noted that successful networkers build horizontal contacts in hierarchy. Csilla Fuszek, the coordinator of ETSN spoke about the history of the network and its achievements so far. The history of ETSN dates to 2011, when the idea of creating the network and establishing European Talent Centres appeared. 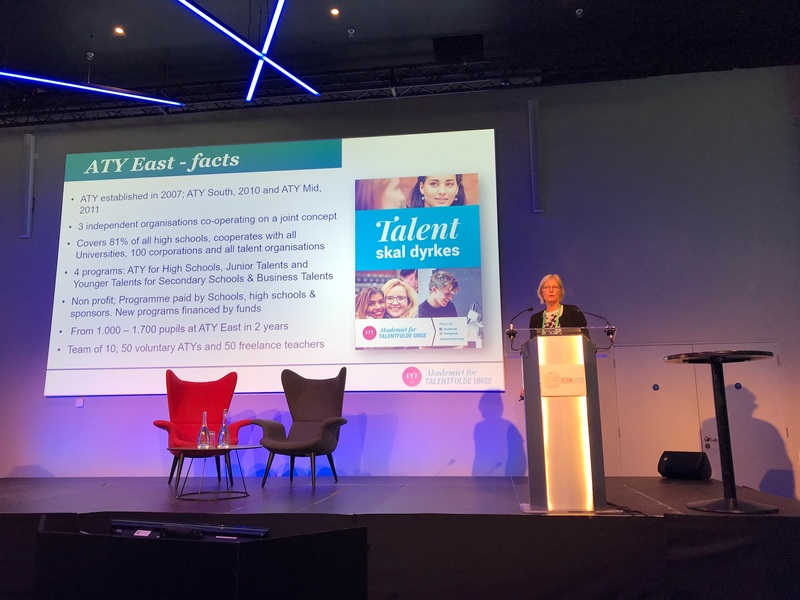 It was followed by discussions among 50 international experts and forming the documents on the European Talent Support Network. 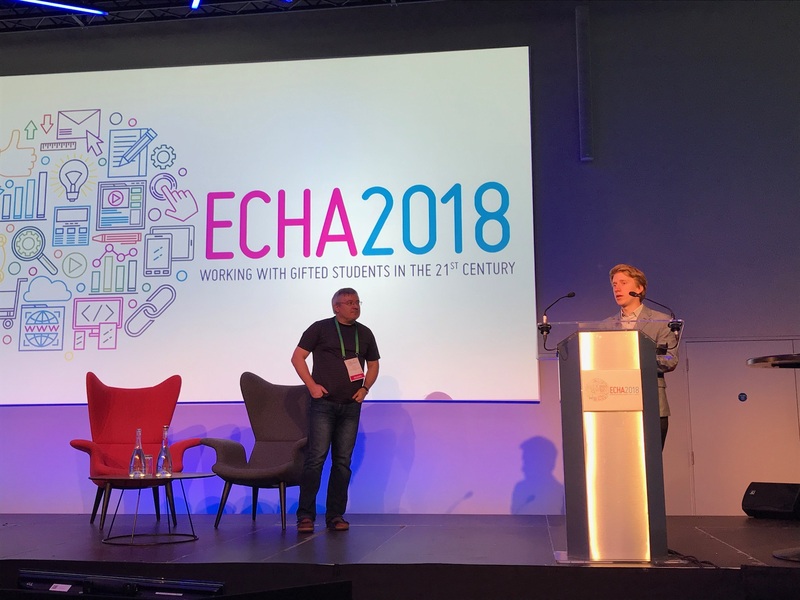 The preparation work resulted in the agreement of the General Assembly of ECHA concerning supporting, regulating and guiding the formation of ETSN. 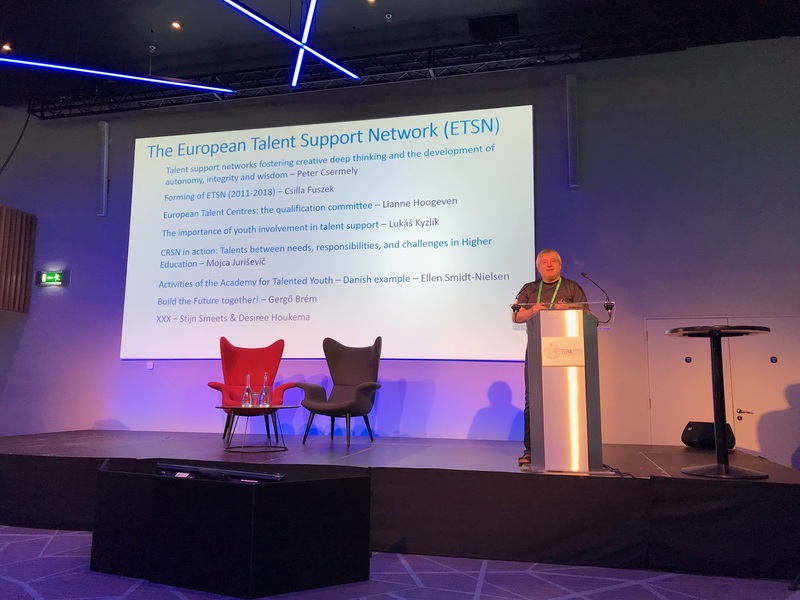 The official launch of the European Talent Support Network was in 2015 in Brussel. 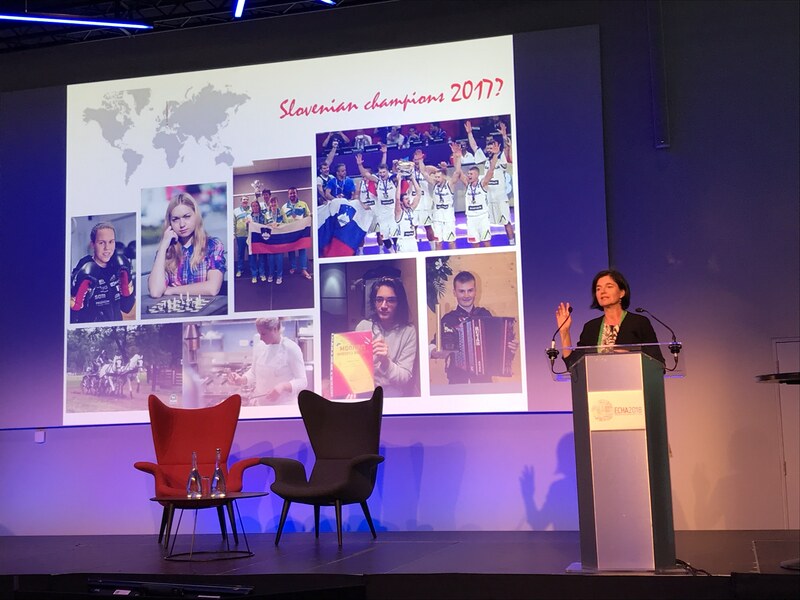 Dr. Lianne Hoogeven described the work of the Qualification Committee for European Talent Centres. 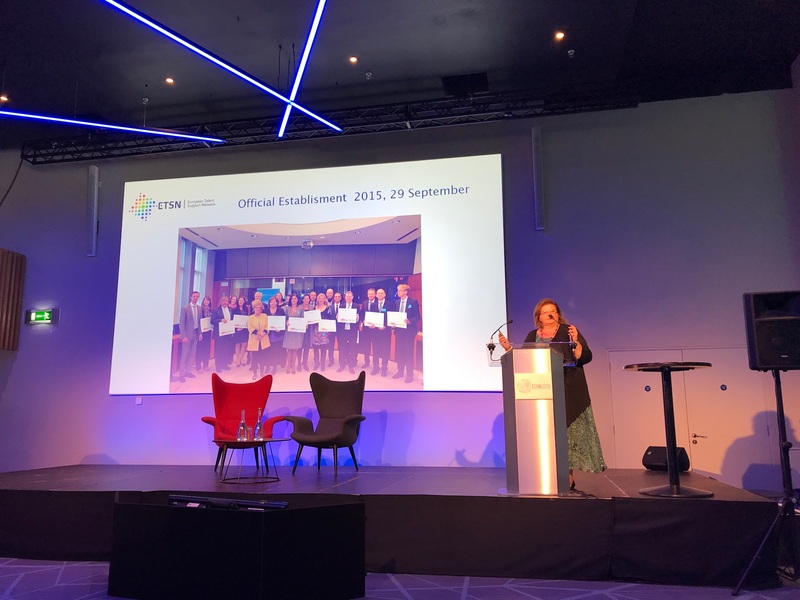 Lianne has provided useful pieces of information for those interested in joining the network and who are willing to cooperate with other European Talent Centres and ECHA. Lukas Kyzlík summed up the role of young people in ETSN and reported on the operation of the ETSN Youth Platform. He highlighted the well-functioning parts of the platform and shared his ideas on how to improve the operational work. Gergő Brém, from Future Talents Generation European Talent Point talked about “Future Builders’ Generation”. In the symposium, two European Talent Centres had the opportunity to introduce their work. Slovenian and Danish Centres have showed their operations in a 15-minute presentation. 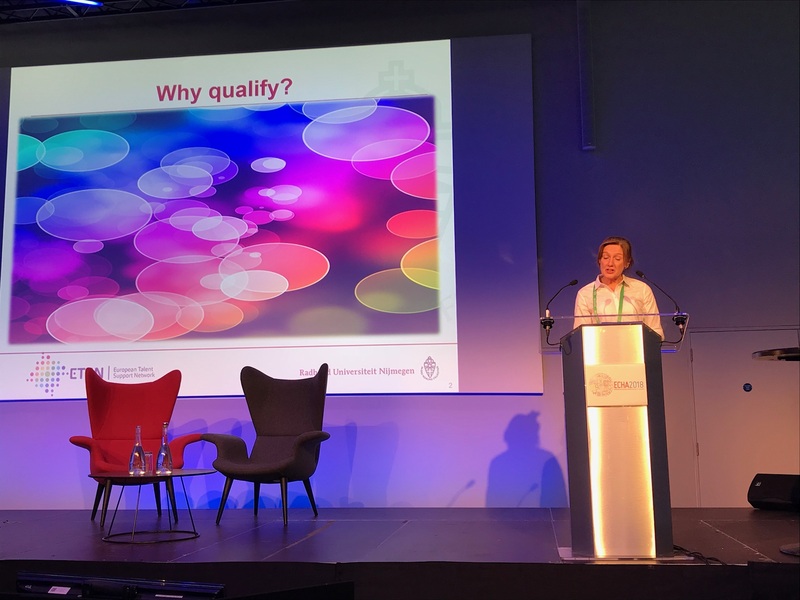 Ellen Smidt Nielsen (Denmark) talked about the researches have been done in her centre recently while dr. Mojca Jurisevic (Slovenia) focused on the development of European Talent Centre CRSN. She introduced the 3 x 3 dynamic model in the broader framework of teacher education. In her presentation, Mojca Jurisevic explained how the needs, responsibilities and challenges appear in internal, national and international levels. 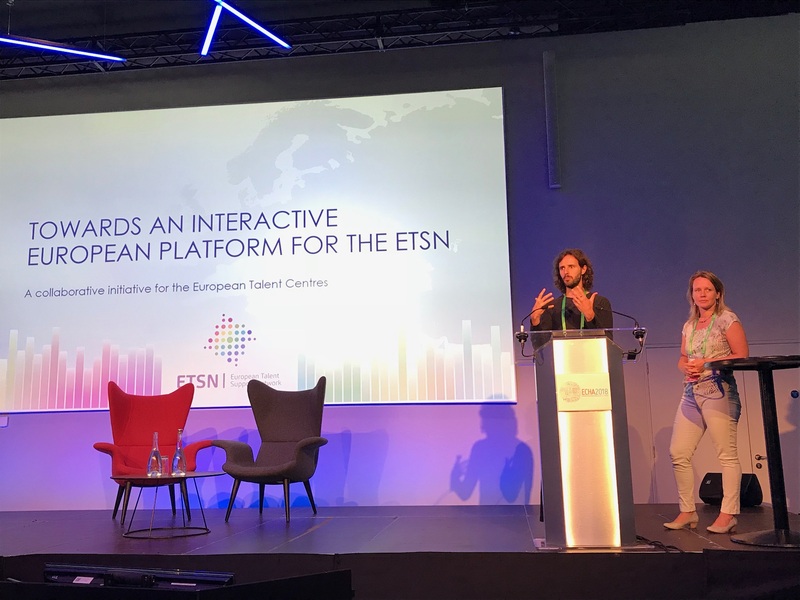 The last presentation of the symposium was held by Desiree Houkema and dr. Stijn Smeets; they launched the idea to create an international, online platform to facilitate the working of the ETSN and of each European Talent Centre (ETC) individually. In summary, the participants had the opportunity to get an overall picture of the history and operation of ETSN. 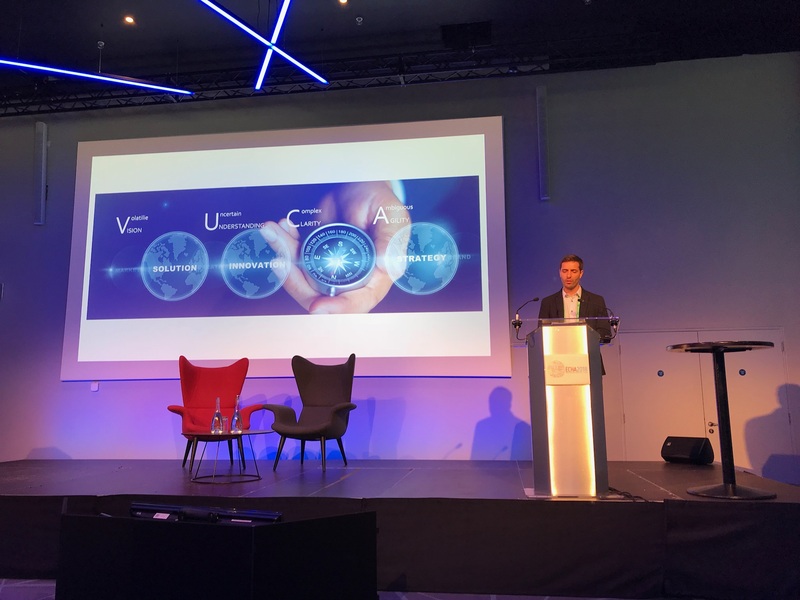 The presentations provided necessary and sufficient information on how to join the network and how to establish an European Talent Centre. More information is available on the official website of the ECHA conference and by clicking on the relevant speakers.